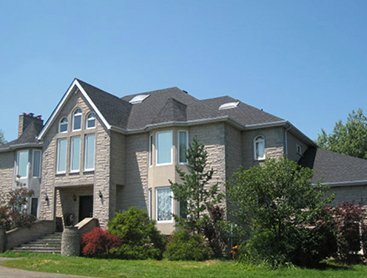 Shingle roofs are far and away one of the most popular roofing options in Toronto. The overwhelming majority of residential homes have shingle roofs and shingles are one area that most people are familiar with. However, this doesn’t mean that you should try to repair or replace shingles yourself – you are always better off to hire a professional for shingle roofing issues. An issue with shingles could be just the start and working with a company for shingle roofing in Toronto ensures you are repairing your roof properly. If you have shingle roofing in Toronto and you think it’s time for a replacement or have identified an area to be repaired, C Plus Roofing is the company to call. Shingles are a common source of leaks on your roof and it’s important to address aged shingles before they become a major roofing issue. There are a number of signs that it’s time to repair or replace shingles. They included peeling, cracks, missing colour granules, loosening of nails from the roof sheathing and more. What shingles do we install? We install BP Mystique 42 shingles. They are made from a high quality material, are durable and they include a Limited Lifetime Manufacturer’s Warranty. This gives you the peace of mind in knowing that if an issue does arise, we will make it right. Our shingles are available in a variety of color options – ensuring they match with the style and look you want to achieve for your home. 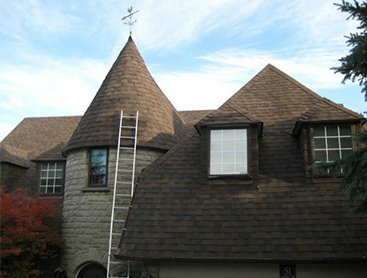 We have all the classic colors and many other unique shingle color options if you want something less traditional. Why Hire Us For Your Shingle Roofing Needs? Whether you need to repair a small section of your roof or its time to re-shingle your roof, your first step is to get an estimate to assess your options. 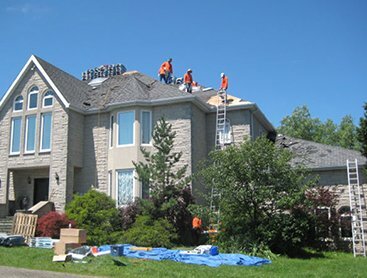 At C Plus Roofing, we are happy to provide you with a free estimate for shingle roofing projects in Toronto. Contact us anytime to book an appointment. We look forward to meeting with you.